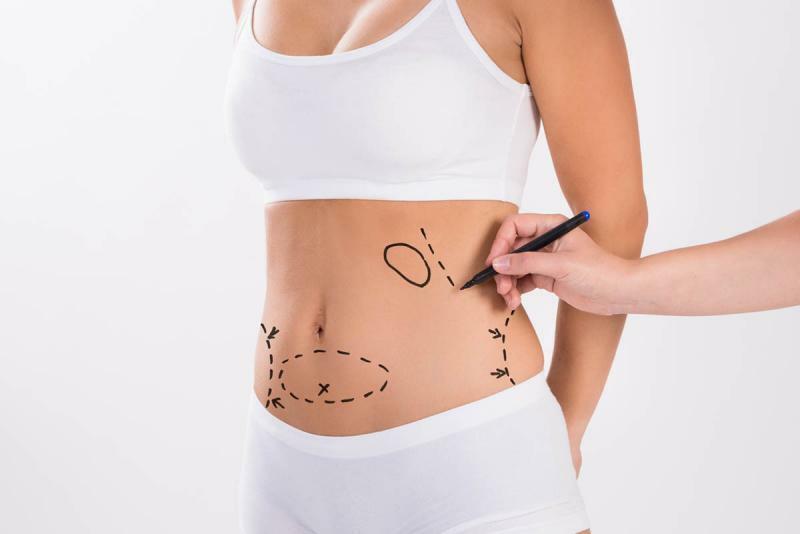 Liposuction and abdominoplasty (tummy tuck) are different surgical procedures that aim to change the appearance of the midsection, claiming to make it appear flatter, tighter and smaller. They are both considered to be cosmetic procedures that are done by plastic surgeons, meaning they most likely will not be covered by insurance. There are a few key differences in the procedures. Both procedures appeal to those with similar cosmetic outcomes, but there are some differences. Liposuction is a good way to remove small fat deposits, commonly found on the hips, thighs, stomach and buttocks areas. The procedure removes the fat from the targeted area, which will reduce fat and contour the section. Liposuction is not recommended as a weight loss tool. Those who are obese should not have the procedure done. A tummy tuck reduces excess fat from the abdomen, but also removes excess skin. Certain life events such as pregnancy can shift the weight and cause the skin to stretch around the stomach area. A tummy tuck may involve bringing the rectus abdominus back together if they’ve been stretched due to pregnancy, and can be used to restore the look of a flat midsection. Both liposuction and tummy tucks are performed by a plastic surgeon and require anesthesia and incisions to be made. The results are considered permanent for both procedures, but significant weight gain can impact results. The patient may be intravenously sedated and a local anesthesia may be applied to the midsection. Once the area is numb, the surgeon will make small incisions around the fat sites deposits, then move a thin tube (a cannula) underneath the skin to loosen the fat cells. A medical vacuum will be used to suction out the dislodged fat. Several sessions may be needed to see desired results. Results of liposuction include a flatter, more contoured mid-section once the patient has recovered. Although the results are permanent, fat deposits may reappear, but typically not in the areas that have been suctioned. The patient will be under general anesthesia and the surgeon will make an incision at the bottom of the skin to expose the abdominal wall. Once the muscles are exposed, the surgeon will sew the muscles back together if they have become separated, pull the skin tight over the abdomen, trim the excess fat off, and use sutures to close the incision. A tummy tuck is done in one procedure and will take around two to three hours. A tummy tuck is considered permanent, with the abdominal wall being more stable and strong. The removed excess skin won’t return unless significant weight gain occurs. There are side effects possible with any surgery, but each procedure poses possible risks to consider. Numbness may be felt in the affected area. Although this is usually temporary, it may become permanent. Contour irregularities may occur when the fat is removed and a jagged or wavy line appears under the skin, making the skin appear less smooth. Fluid accumulation can occur in the form of a seroma under the skin. The doctor will drain these. Rare risks include infection at the site of the liposuction, internal organ puncture if the cannula penetrates too deeply, and a fat embolism getting trapped in the blood vessel and traveling to the lungs or brain. The recovery process for liposuction depends on how many areas have been operated on and if additional sessions are needed. After the procedure, there may be swelling at the site of the fat removal and draining and bleeding at the site of the incision. A compression garment may be worn to help the skin heal smoothly. Liposuction is an outpatient procedure, and most activities can be resumed 48 hours post-procedure. Heavy weight lifting and cardio should be avoided until gaining approval from the doctor. A change in sensation in the upper thighs and abdominal area because of the repositioning of the abdominal muscle. This can create numbness. Fluid may accumulate under the skin that needs to be drained. Tissue necrosis may occur when the fatty tissue deep in the abdominal area may get damaged. If it doesn’t heal or dies, it will be removed by the surgeon. The recovery process for a tummy tuck is longer than that of a liposuction procedure. A compression garment will be worn, and within one day the patient should be up and walking to prevent the formation of blood clots. Pain relievers may be given to help manage pain, and surgical drains may be put in place. It takes around six weeks for the initial recovery to be complete, and many follow up appointments will be needed to insure the incision is healing properly. Physical activity should be avoided until a doctor approves it, especially anything that bends the back, as it may put pressure on the incision. 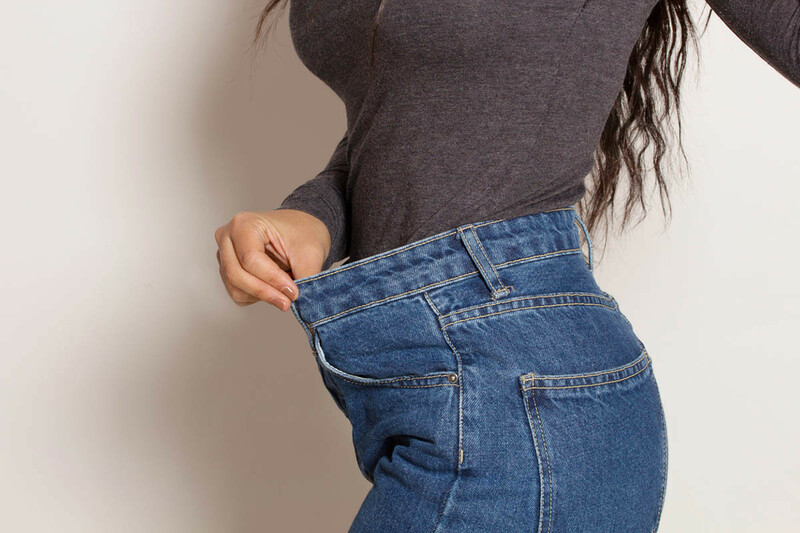 Although both tummy tucks and liposuction procedures are done to improve the appearance of the midsection, they have markedly different in their promised result. Liposuction is a straightforward outpatient procedure that carries a small risk and little downtime. Tummy tucks are considered to be a serious operation.